3. Choco Brown LVMH Louisiana Alligator Strap. Width: 18/14mm. Length: 115/75mm. Thickness: 2mm throughout. Folded Edges. Price: USD169 Paypal and Delivered. Perfect for your Patek Calatrava & Classic Watches. 4. 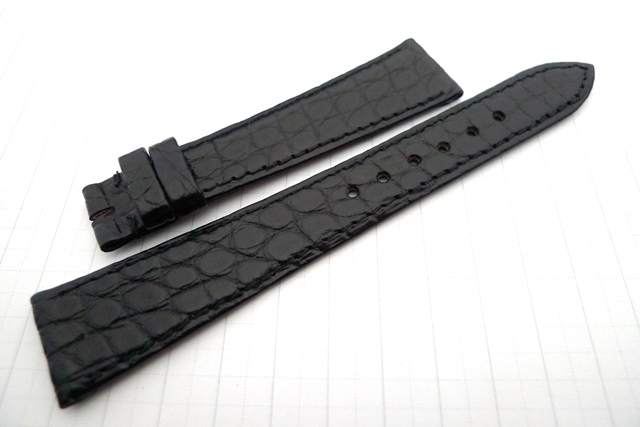 Classic Black LVMH Louisiana Alligator Strap. Width: 18/14mm. Length: 115/75mm. Thickness: 2mm throughout. Folded Edges. Price: USD179 Paypal and Delivered. Perfect for your Rose & Yellow Gold Patek Calatrava & Classic Watches. 5. 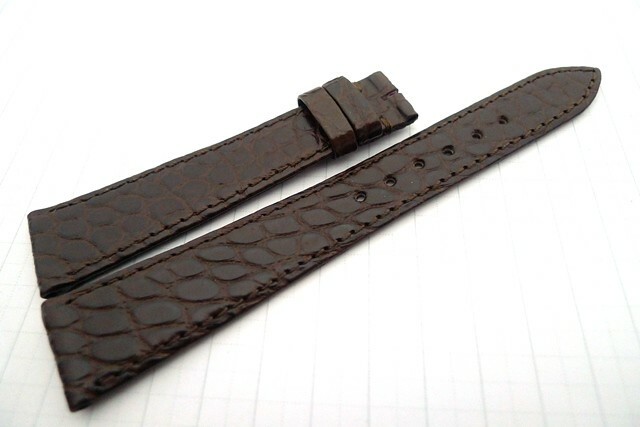 Hazelnut Brown LVMH Stitchless Louisiana Alligator Strap. Width: 18/14mm. Length: 115/75mm. Thickness: 2mm throughout. Folded Edges. Price: USD169 Paypal and Delivered. Perfect for your Rose & Yellow Gold Patek Calatrava & Classic Watches. Sold & Now Taking Orders. 6. 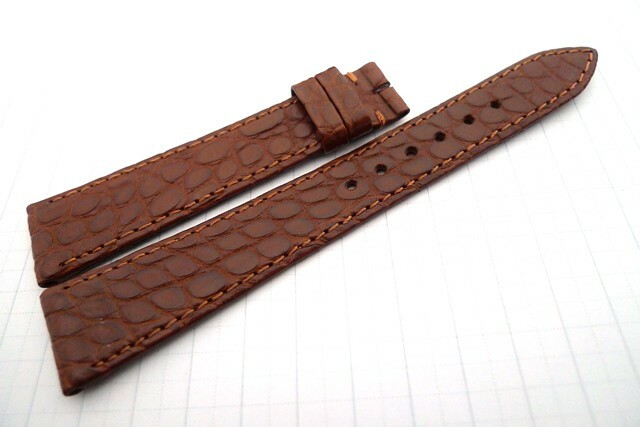 Hazelnut Brown LVMH Louisiana Alligator Strap. Width: 18/14mm. Length: 115/75mm. Thickness: 2mm throughout. Folded Edges. Price: USD169 Paypal and Delivered. Perfect for your Rose Gold & Yellow Gold Patek Calatrava & Classic Watches. Sold & Now Taking Orders. 7. 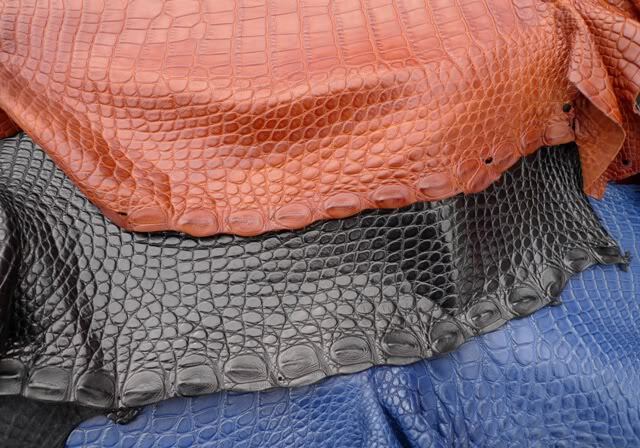 Classic Black LVMH Stitchless Louisiana Alligator Strap. Width: 18/16mm. Length: 115/75mm. Thickness: 2mm throughout. Perfect Patterns. Folded Edges. Price: USD189 Paypal and Delivered. 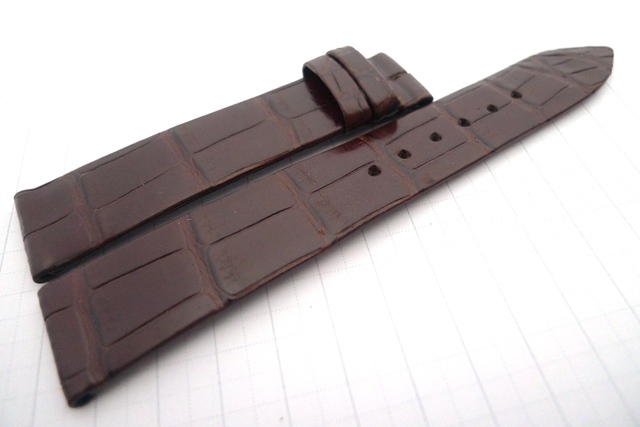 Perfect for your Vintage or Dress Watches. 8. 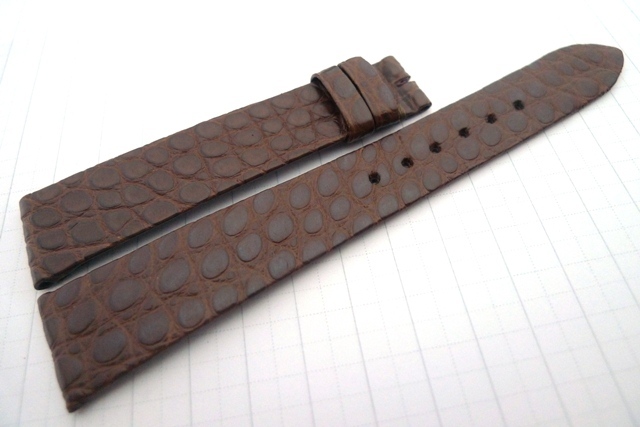 Classic Gloss Godiva Brown LVMH Stitchless Louisiana Alligator Strap. Width: 18/16mm. Length: 115/75mm. Thickness: 2mm throughout. Perfect Patterns. Folded Edges. Price: USD179 Paypal and Delivered. 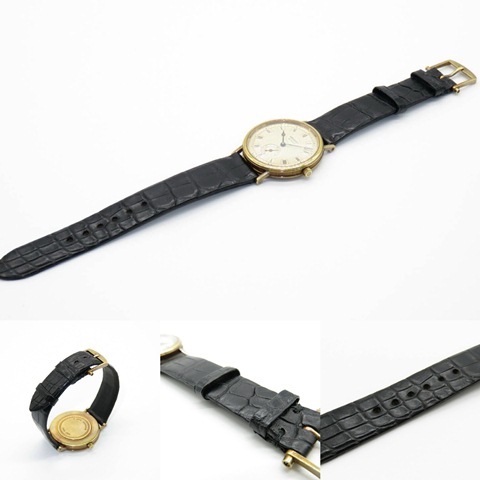 Perfect for your Vintage or Dress Watches. Sold & Now Taking Orders. 9. IWC Style 16mm Stainless Steel Buckle. No brand engraved. 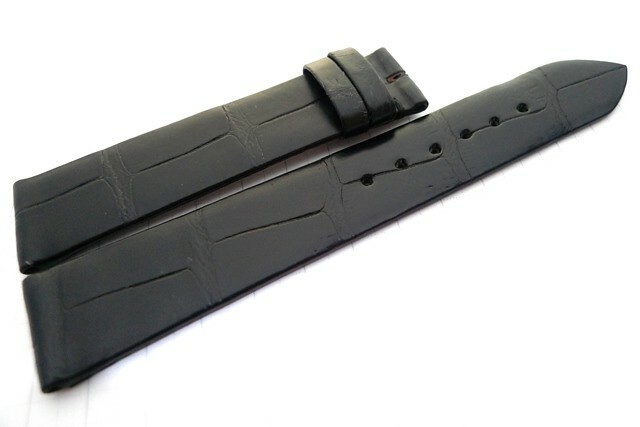 Price: USD20 with every strap purchase. 10. 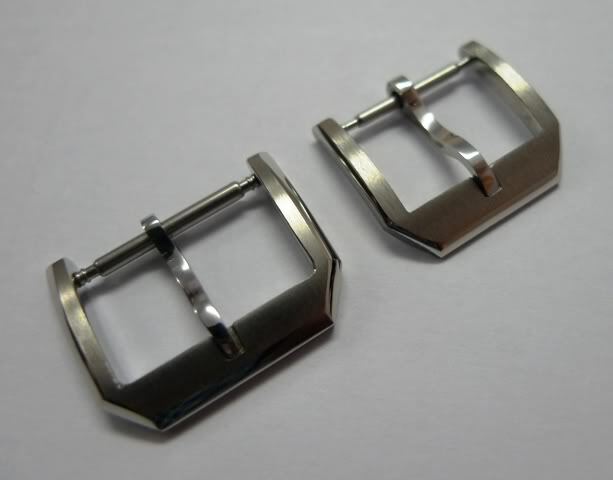 Original 16, 18 & 20mm Yellow Gold Plated and Stainless Steel Omega Tang buckles. Price: USD70 with every strap purchase. 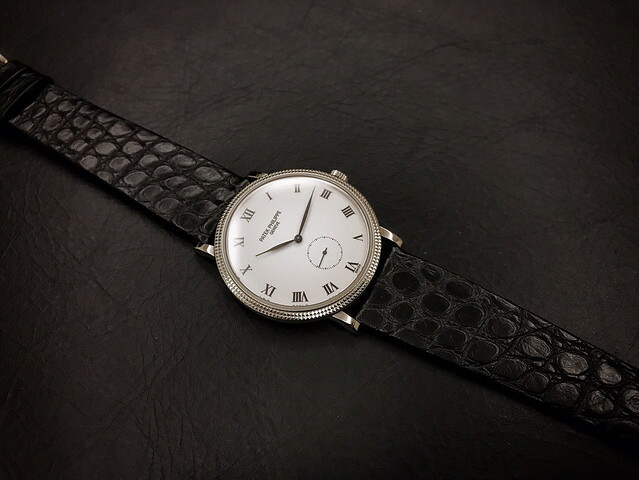 The Eternally Classic Patek Philippe Calatrava 3919 on a Watchacc Classic Black LVMH Louisiana Alligator Strap.